Anyone who works intensively with a part of their body is more prone to injuring that part, and massage and beauty therapists are no exception! The good news is that it doesn’t have to be this way. If you know the correct way to use your body you can have a long and healthy career. Protecting your hands is easy when you absorb the principles of dynamic body use and the even better news is that it also helps to give your clients an even better treatment! Why do massage therapists and beauty therapists get injured…? Poor body mechanics: awkwardly twisting, bending, or positioning with joints out of alignment whilst working. Massaging with your table at an incorrect height. Limited techniques and repetitive motions. Trying too hard! Pushing and straining to get a result leads to us needing a massage more than the client! Using muscular strength rather than body weight and energy to work deeper. Not partaking in self-care exercises. Learn 4 mighty massage stances that will help you to create the dynamic dance of massage. Flowing from one to the other depending on what is best for your body at that time. Table height – ‘how low can you go?’ we recommend fist level or below. Expand your repertoire of techniques with our extensive list of CPD courses. Helping you to incorporate a fusion Eastern and Western massage techniques, preventing you using the same muscles over and over again. Our ‘less is more’ philosophy will teach you how to work deeper without working harder. Teaching you how to use your body weight to achieve depth and pressure. Exploring self-care exercises for not only your clients’ wellbeing, but your own as well! Come say hi, we’re on stand E120 and we LOVE to chat!! 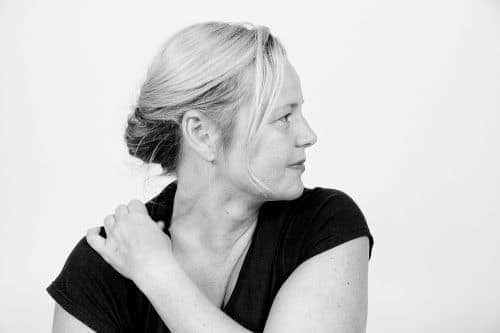 Jing based in Brighton, offers the UK’s only degree level course, the award winning 3 year BTEC level 6 Professional Diploma in Advanced Clinical & Sports massage, as well as over 30 CPD/CEU courses to both local and global therapists alike.